which is probably why Flower Market Fridays are favorite days of mine here on my blog. 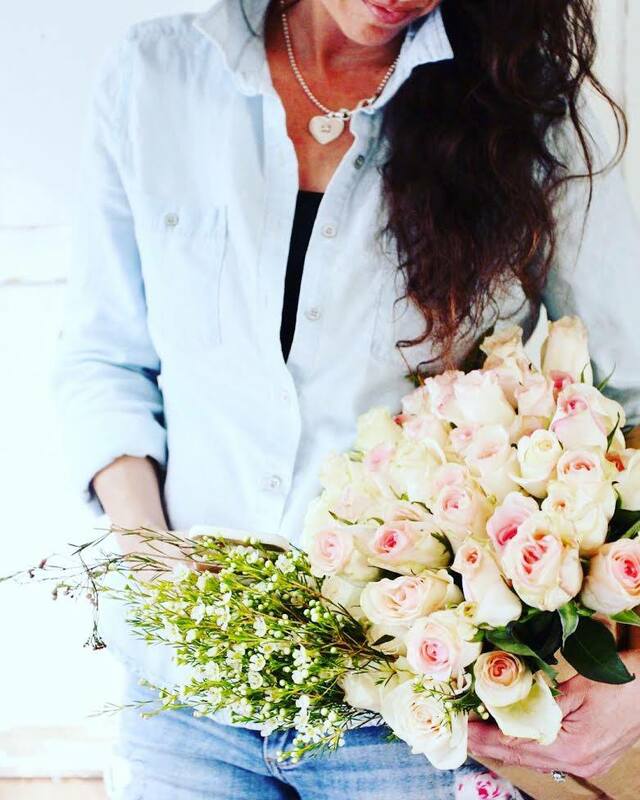 Flower Market Friday is all about floral inspiration. 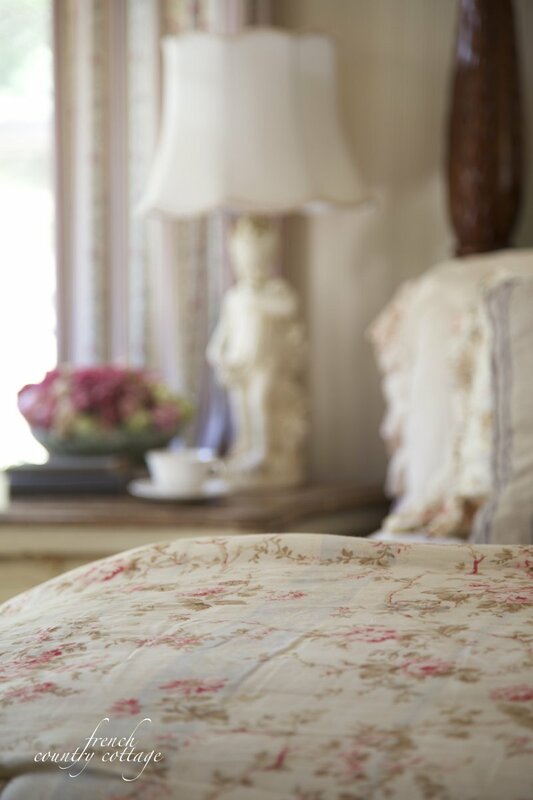 or maybe it is floral inspiration for your home with fabrics. Which is exactly what I'm talking about today. that were my mothers back.in.the.day. which was in the 1980's. and years later, she offered them to me since she had lost that loving feeling with them. (just like in my post from earlier this week) and the rest is history. that went into the cottage kitchen. that I admittedly indulge freely in. 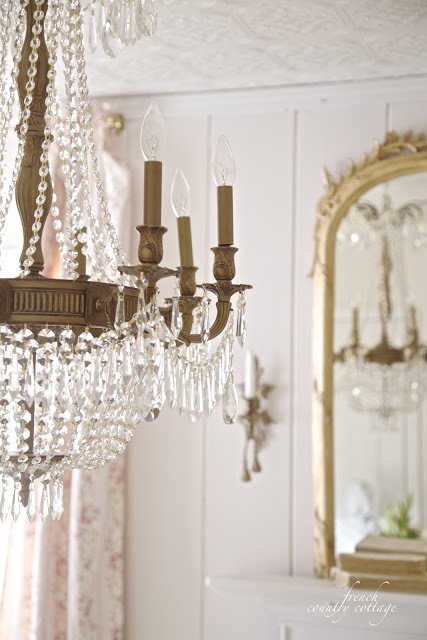 this white and pink ruffled beauty from Shabby Chic. I used it out in the cottage bedroom for a fresh look. muted almost vintage color palette and pattern. is this gorgeous blushing blooming beauty. 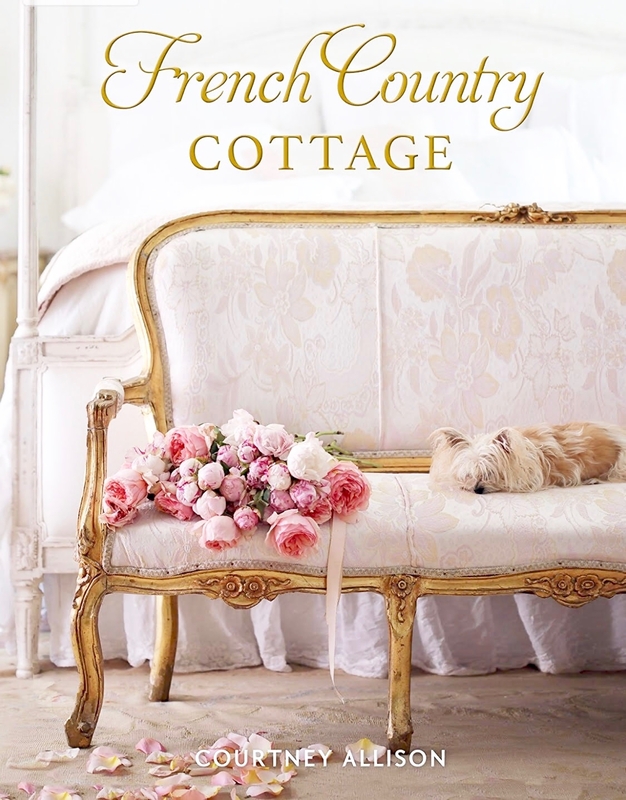 and it has the perfect amount of sweet cottage charm. 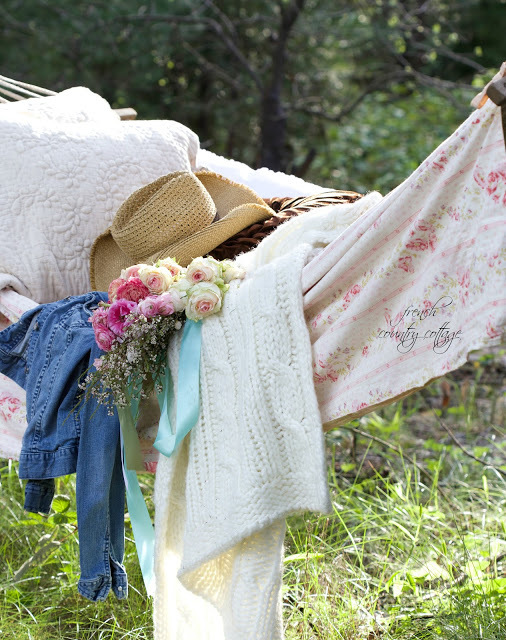 but was perfect for tying to the hammock for a charming look. you will be seeing more before too long. Sooo pretty! I love florals, too! Enjoy your weekend, Courtney. Well, I already had spring fever and now these luscious florals have put me over the top! I think I have to go dig in the dirt now or at least walk around to see what might be peeking out of the ground! Lovely post. In my mind, floral never go out of style. Flowers are one of God's gifts. Beautiful. 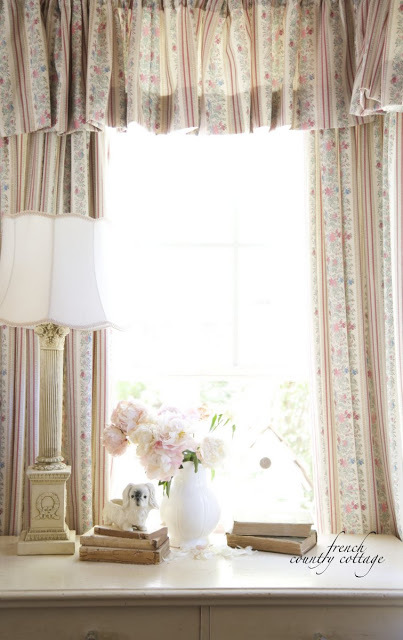 Courtney, It's such a pleasure to see someone who still uses patterns, particularly florals, in their home. I so love them! My very first job was as a textile artist where it was my responsibility to design and put into repeat print patterns (back in the day when we still painted them by hand). I think this began my life-long love affair with prints, which was only magnified at my next job in design at Ralph Lauren. 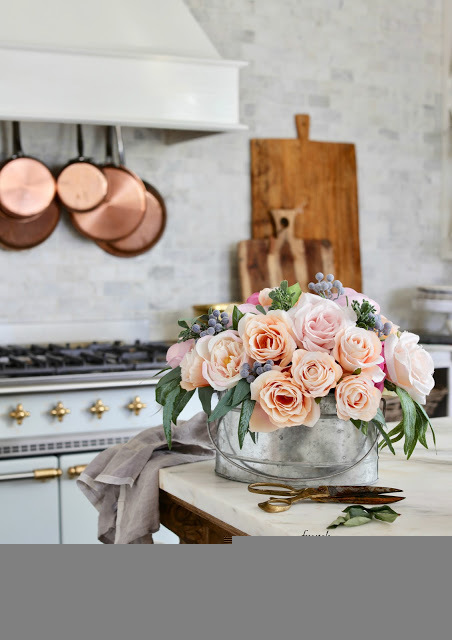 I still know the names of many of his vintage inspired florals and still have many of them in my home. 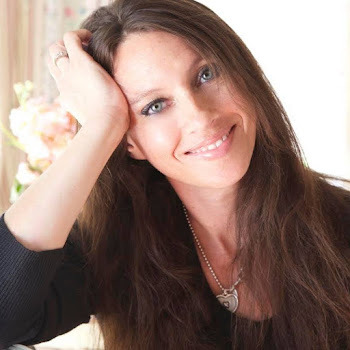 Thanks for such a lovely and inspiring post!! Your collection of floral fabric is beautiful - always lovely to look at. 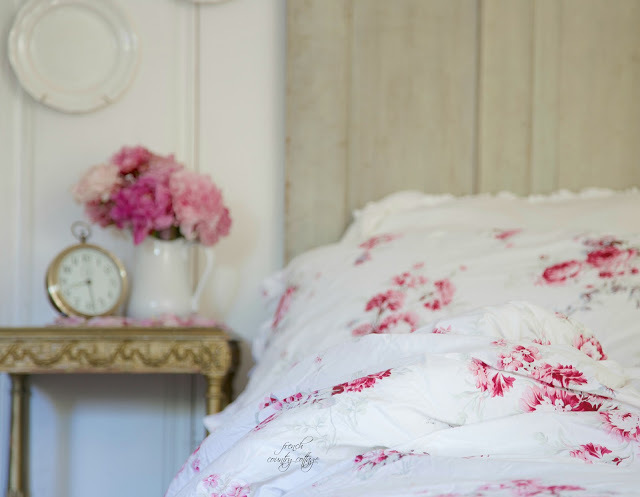 As much as I try to keep neutral in my decor, my bedroom is where I truly indulge in my love for florals. Luckily my DH doesn't mind, so I have quite a collection which I rotate. 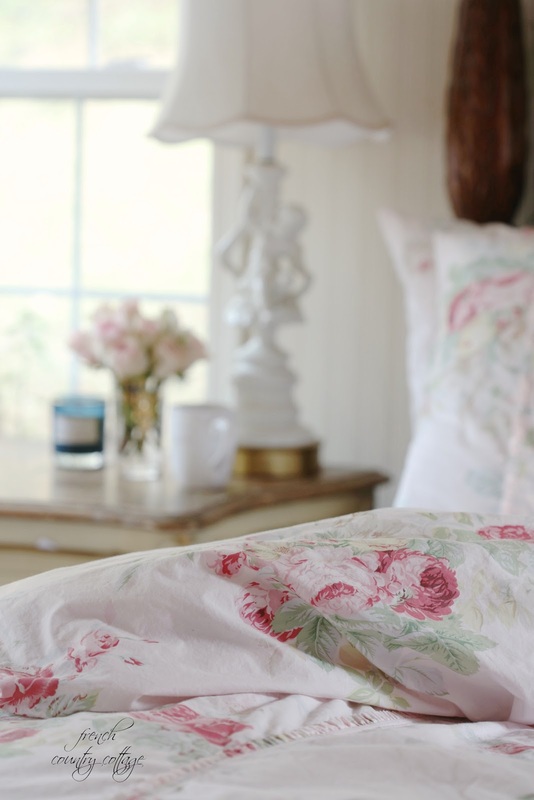 Followed the link, and I am definitely purchasing the duvet and some shams - I absolutely love the pale pink background- so vintagey looking. 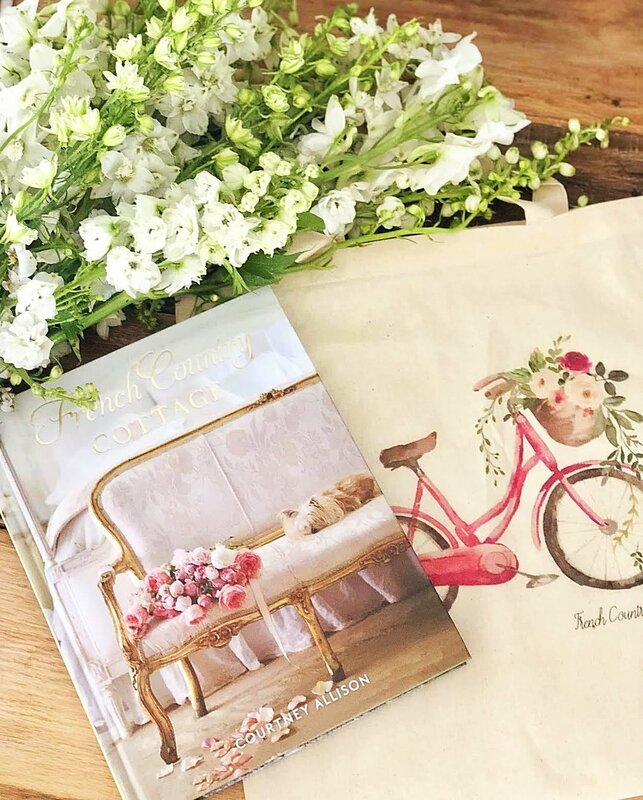 Thanks so much for sharing, and it's nice to someone still using florals in the home. I love feminine things. I love the soft muted looks and not the bold in your face pattern. And your flowers are gorgeous. Even though we are renting a house a house down South for a few months you've inspired me to add flowers weekly. I love the look. Certainly makes it more homey when we come in from the beach. This completely brightened up my VERY snowy freezing cold Canadian morning. So beautiful thank you for sharing.